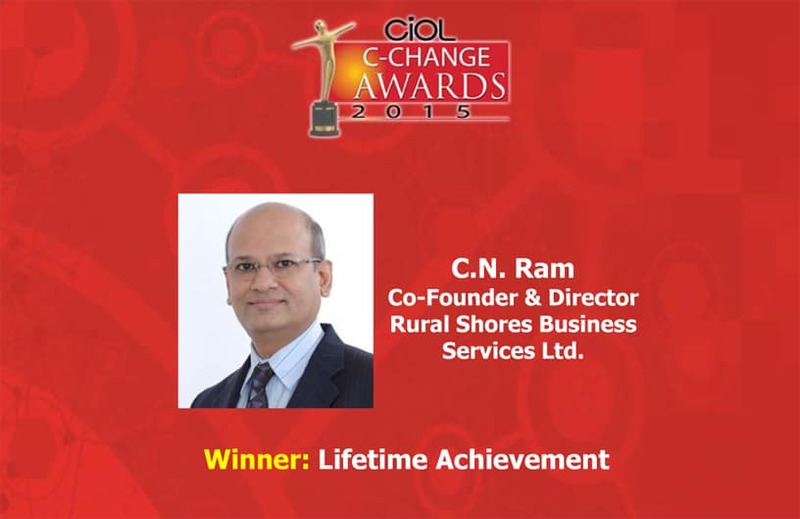 MUMBAI, INDIA: CN Ram, who was awarded the Lifetime achievement award at the recently concluded C-Change awards, remarked in jest, “I know all fingers are pointing toward my retirement,” to a standing ovation. But the man, now in his late fifties, is hungry for more. One of the doyens of the IT industry, Ram has led an exemplary life, not because he was born with a silver spoon, but because of the various choices he has made in life, and how he leveraged each opportunity to inch his destiny towards the top goal he set for himself. His journey from being an IT strategist at the Bank of America (BoA) to his notable career at the HDFC Bank is a part of the local as well as international lore. He started his second innings as Co-founder and Executive Director, of Ruralshore Business Services, in 2008, and proudly mentions that he is now doing what his heart always wanted. A sneak peek into the IT maverick’s life. Having acquired laurels in electronics engineering from IIT (Madras) and IIMA, Ram joined the Jamshedpur plant of Tata Steel as a graduate trainee in 1979. Mumbai came calling, and Ram moved to Bank of America as its first IT employee in 1982. A natural strategist, he soon rose the ranks, and was a part of the core IT strategy team at BoA. “That was my stepping stone into this marvelous field of information technology. Back then, we were not spoilt for choice, IBM was the answer for all our problems. But the challenge was to choose the most appropriate technology even from whatever little was available at the time,” recalls a humble Ram. Those were the 1980s. But in 1991, when the Indian government announced its liberalization policy, Ram and his colleagues wasted no time, and set-up a large mainframe infrastructure to support BoA’s retail functions. Around the same time, BoA acquired See First Bank that had a large retail presence in Asia. While the mainframe infrastructure which Ram and his team had developed was equipped to support the technology and operational functions of the new entity, it was rejected for being too expensive. That was the time, the Indian team therefore volunteered to completely disband the all the Asian operations of BOA, and merge those will the global platform. Ram decided it was time to move on. It was in the year 1994 that Ram joined the HDFC Bank as the Head IT, and the third employee of the bank. Over a period of 14 years, he set up the IT operations and was instrumental in making HDFC one of the successful banks respected for its innovative use of technology. 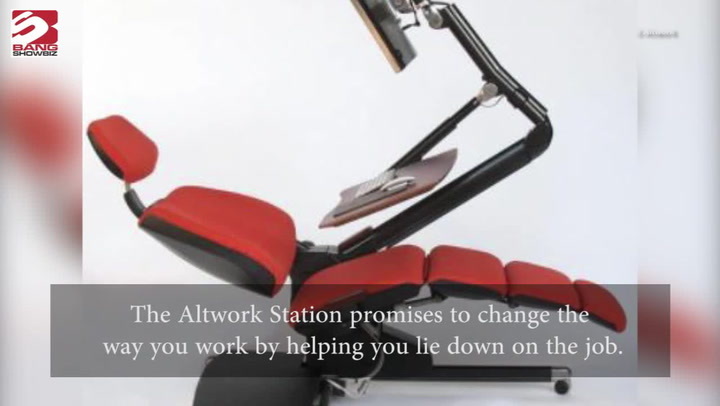 What helped the IT strategist to maintain a cool head? Did he never bend under pressure? As the dynamics of banking changed, the IT organization at HDFC too kept pace. “We missed many opportunities at BoA; many projects did not see the light of the day. Here was an opportunity none of us wanted to miss,” Ram recalls. As a result, the bank was prepared for behavioral changes caused by the volumes and the intensive work that went into coping with a truly 24X7 banking environment. HDFC implemented the business intelligence solution which enabled it to make predictive analysis and launch more customer-driven products. Today, the bank is running one of the largest big data projects in the sector, which helps it to determine the profitability of customers and enables the business to identify the target group for each of its products. During his technology leadership at HDFC Bank, two of the major highlights include seamless migration of all the IT and business assets post the HDFC Bank-Times Bank merger, and the HDFC Bank and CBOP merger. Even toward his exit from HDFC, Ram implemented an information management software project to help the bank rapidly enhance customer care and identify new business opportunities. Using the new software developed by IBM’s research unit, the bank was able to make full use of the customer feedback received from emails and phone calls from among all its branches. After a stint as Group CIO at the Essar Group from April 2010 till January 2013, where he was instrumental in deploying disaster recovery solutions, and taking security of the company a notch higher by implementing DLP, Ram came to Rural Offshore and is now working full-time to develop the capabilities of the rural youth and in his bid develop the tier-2 and -3 cities of the country as alternate source for outsourcing activities. Rightly so, the telecom and the retail sectors are already targeting this market. “Once you realize that you can include this part of India in your schema of things, you will have a brilliant India story to tell. But for that you need a digital platform that is equal for all,” he signs off.